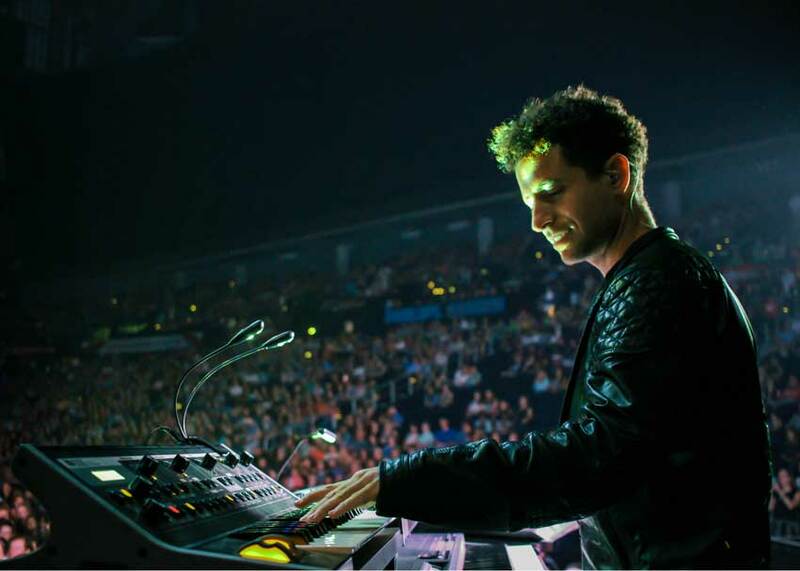 Interview: Greg Spero, Keyboardist on Tour with Halsey. 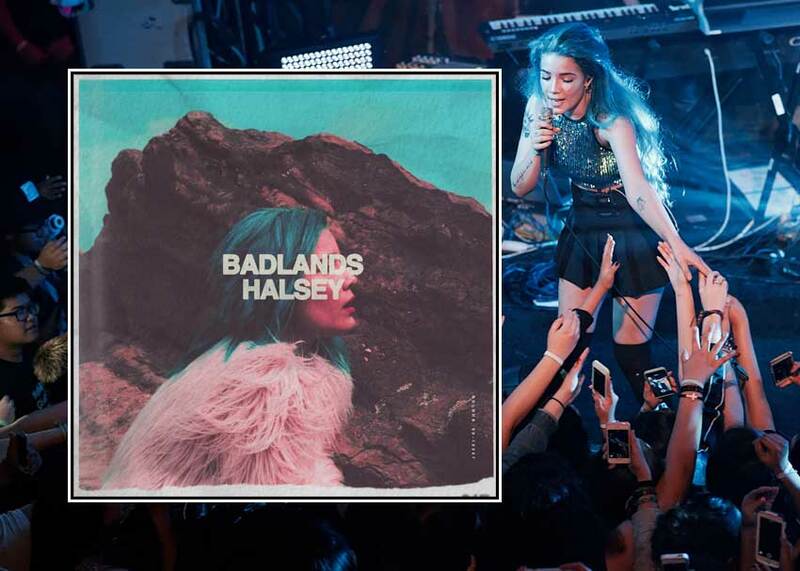 Recreating the Sounds of the Badlands On Stage. Jazz audiences know Greg Spero as an award-winning pianist, composer and bandleader. Playing professionally since age 14, Spero has studied with the likes of Herbie Hancock, and toured the US and UK with his own jazz trio. 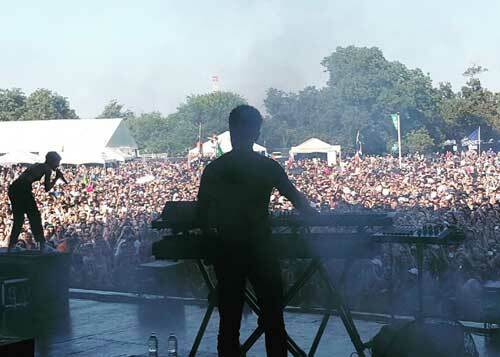 But his enviable career kicked up a notch in early 2015, when Greg landed his gig as the touring keyboardist for indie pop phenom Halsey — whose debut album Badlands has been climbing charts around the world since its August release. 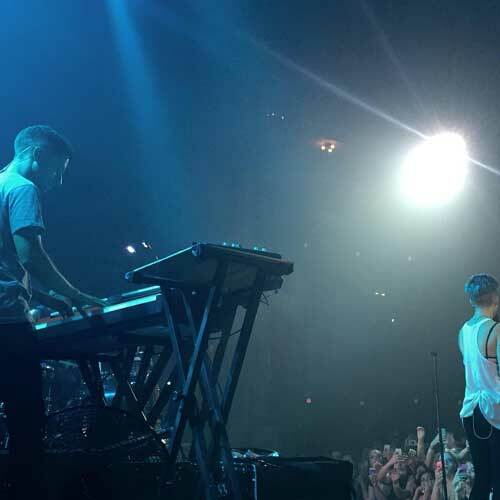 After spending spring and summer touring with Halsey as the opening act for Imagine Dragons, as well as playing for massive crowds at festivals like SXSW and Lollapalooza, Spero is currently on the road again with Ashley Frangipane and Co. on the Badlands Tour. I talked to Greg between sold-out shows to get the details on his live keyboard rig and how he recreates the sonic textures of the Badlands. 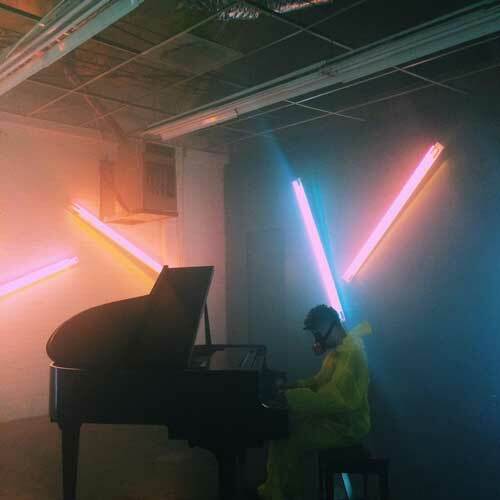 Read on to get the scoop on Greg’s “secret” YouTube series, his upcoming jazz album Polyrhythmic — and that one time Ashley got him to play piano in a haz-mat suit. 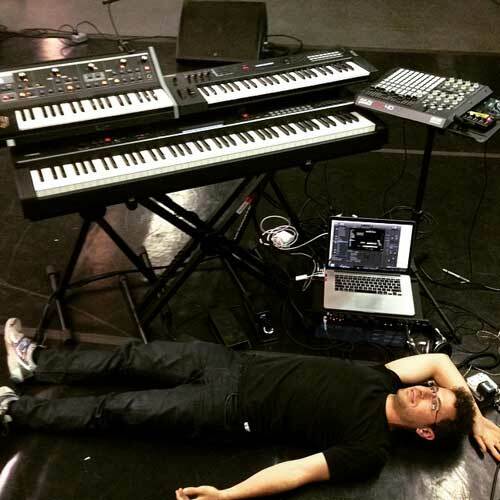 zZounds: For starters, tell me what’s in your Halsey keyboard rig. 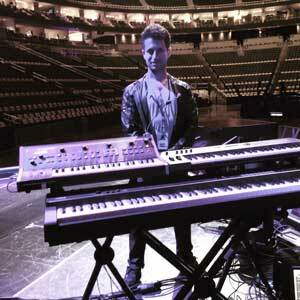 Greg Spero: The primary keyboard that I use is a Yamaha CP4 stage piano. It’s 88 weighted keys, and it’s got the best action out of any keyboard that I’ve tried — the best piano emulation. I play an acoustic piano sound on one of the Halsey songs, and for that song, I actually use the sound from the CP4, ’cause it’s got a really great sound as well. 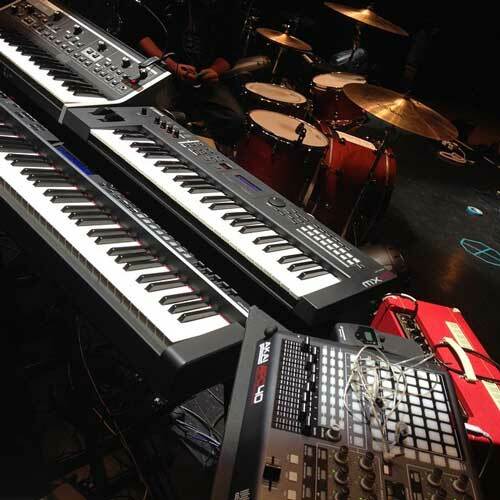 The other keyboard, above and to the right of the CP4 in my setup, is a Yamaha MX49 — a 49-key unweighted synthesizer which also has great sounds from the MOTIF series. I use this as a MIDI trigger for my software synths in Apple MainStage. And then, to the left of that, also above the CP4, is a Moog Little Phatty. I use that to do bass lines, mostly, because it’s that sound that you can only get through analog synthesizers. It really fills up a room. In the arenas that we’ve played, it’s such a heavy, awesome bass — largely because we use an analog synth. zZ: You’re covering everything between just you and the drummer — so a lot of times, you’re playing the Moog with one hand and your Yamaha boards with the other? Greg Spero: Exactly. Whenever there’s bass in the track I’m playing, it’s almost always some sort of analog bass sound from the Moog. I also use an Akai APC40 controller. In this specific context, I use it only to trigger samples. So I map samples in MainStage to the pads on the Akai, and then I trigger those during the set. Which is fun! It’s kind of cool to be able to just trigger these sounds that I can’t actually reproduce with a keyboard — at the same time as I’m playing a synth bass, and the other chords that I’m holding out. It gets really, really complicated — there are points where I’m playing literally two different parts with my right hand on the top keyboard, and then some layered parts on the Moog with my left hand, and then hitting a chord and holding it out with the sustain pedal on the CP4 with my left hand, and then going back to the bass line. It gets kind of crazy up there, mainly because I try to model as many of the sounds to play live as I possibly can. Almost everything that you hear that’s synthesizer-based is coming live from the keyboard rig, largely because I wanted to challenge myself and make that happen so it could be an actual live show — as opposed to many shows that are just way too “tracked out,” in my opinion. zZ: So you have some sounds that nobody else has? Greg Spero: Oh yeah, definitely! All the sounds that I’m playing, I’ve either modeled from the ground up, or sampled and manipulated for the live setting from the original recordings. And I’ve been working on it for 9 or 10 months now — I’ve spent a huge amount of time just doing software synthesizer design on the computer — modeling these sounds so that they would really be effective in these large arenas that we’re playing — but also in smaller clubs like on the Badlands Tour, where we’re doing between 1,000-3,000 capacity rooms, mostly. 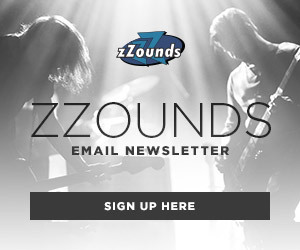 zZ: Did the producers who did Badlands give you samples to use? Or did they just give you a copy of the album and say, “Good luck reproducing this live”? Greg Spero: It’s closer to the latter, but it’s got hints of the former as well. What I receive from the producers are the stems of the tracks. 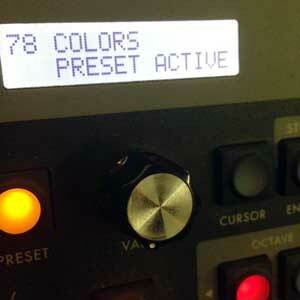 So I don’t actually get any synthesizers [programmed] from them…but I get the separated sounds. That helps me to listen to it, and then create my own software synths that sound very similar, but not exactly the same as the album. There are probably 10 to 20 different synthesizers that I use in any given song, because there are so many different layered tracks. So I’ve been going through and modeling each one of those, so I can play them in a live setting. zZ: So it’s really more of a sound design gig, than it is just learning the songs. Greg Spero: Yeah — I spend more time doing the sound design than learning the songs, because I’m a pianist by nature and by trade, so when it comes to actually listening to something and being able to play it, I can learn stuff pretty easily. Even though some of it’s challenging because I’m playing a lot of parts at the same time, I pick it up pretty quickly as far as the playing goes. It’s the designing of the software synthesizers that takes the bulk of the time, in preparation at least. zZ: Tell me about MainStage. Greg Spero: MainStage is a software program — it’s basically a version of Apple Logic for live use. So it’s got all the Logic software synthesizers and all the Logic preset sounds and everything, but it’s made for playing on the live stage. Tons of big acts use it — I know that’s what Taylor Swift’s band uses. And as we’ve been touring and playing these festivals with other bands, I’ve constantly seen MainStage set up by other keyboardists, just because it’s just so versatile. But it’s still not glitch-free, which is really frustrating! Like, the one thing that everybody has a problem with, is that it always, at some point, lags on a sound or can’t quite keep up. So that’s been my main frustration throughout these gigs: when MainStage does something that’s unexpected, how do I handle it? zZ: Yeah — how do you handle it? Greg Spero: It’s always an improvisation. For example, one time we were doing a big shoot for Vevo, and we were playing “New Americana.” This was in Chicago, at the Vic Theatre. So we played the song, and it went great — but then at the end of the song, MainStage decided to not let me release any MIDI notes. So I was playing the string part, but every single note was holding down for the entire rest of the string part! If you look up this video — Halsey doing “New Americana” for Vevo LIFT in Chicago at the Vic — you’ll see me at the end of the song, like, freaking out, and going down to my laptop, and going back up to the keyboard, trying to turn things on and off to fix it! What I was able to do was, I picked some different notes to keep it all in the same key, and then at the very end of the song, I found one of the other patches that I’d created for a different song that has a “stop all” function on it so it cuts off all the sounds previously playing, and I quickly switched to that patch so it seemed like it cut off at the right time. zZ: Nice. You hit the Panic button! Greg Spero: Exactly. Basically the Panic button. So there are things like that, that happen every once in a while, which always keeps me on my toes! It definitely doesn’t get boring in that regard. 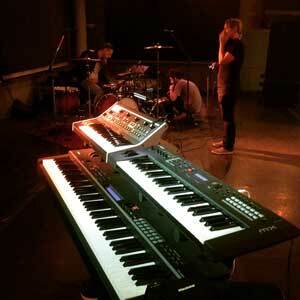 zZ: So the Yamaha CP4, Yamaha MX49, Moog Little Phatty, Akai APC40, and a laptop running Apple MainStage. Does that wrap it up for the gear you have? Greg Spero: Well, there are some pedals that I’m using to control sounds. Like, there’s a foot controller that’s sort of like a volume pedal, but I use it to control the cutoff filter on some of the software synthesizers. For example, on the song “Colors,” in the middle of the first verse, that synthesizer swells up into a bigger sound, and you hear more of the high end. The way I accomplished that was by mapping that volume pedal to the cutoff filter in the software synth within MainStage, so at that point in the song, I can do that swell, and have the filter cut off at a higher frequency, and sound like that synthesizer’s getting bigger. zZ: Right — because you don’t have enough hands! Greg Spero: Yes, exactly, so I’ve got a foot, too. And then the other foot’s doing the sustain pedal. And a third foot…? I’ve got a patch change pedal as well, because in any given song, you could have up to 7 or 8 sections with different patches that are all mapped to different places on the three keyboards that I’m using. So I have a little footswitch to the left of the control pedal, that I can press to go to the next set of sounds for that song. zZ: Do you play the same setlist every night, so you can just scroll through the patches? Greg Spero: Almost. It’s close, but it’s not exactly the same — Ashley will call different songs sometimes. And then we’ll do covers sometimes, like when we were on the radio for BBC Radio 1 in London, we did Justin Bieber’s “What Do You Mean,” mashed up with The Weeknd’s “Often,” mashed up with “Young God,” which is one of Ashley’s songs. And we did a “Trap Queen” cover in Oslo a couple days later. So we’ll throw in stuff like that every once in a while. When we go to festivals, we bring in different songs and cut out different songs — it’s not always the same at those. But for the arena tour with Imagine Dragons, we did the exact same set every night for 40 different shows. And for the Badlands Tour, we’re just going to do one set — it’s going to be the exact same show every night, except for some sections which are improvised — I actually get to improvise a little bit on the Badlands Tour, which I’m really excited about! There are some interludes where I’ve developed some crazy sounds within the software synthesizers, using Native Instruments sounds…crazy, creepy sounds. zZ: That’s very cool. I’m guessing that your ability to throw down like that as an improviser, made you more qualified for the gig. Greg Spero: Oh yeah, definitely. Ashley actually told us the other day — it came up in discussion because our drummer, Nate Lotz, was on Ryan Adams’ 1989 cover album that was just released. Nate did all the drumming for that album, so he’s doing that stuff in the pop world — and I’m still doing international jazz festivals, traveling to different places in off-days to play shows with my own self-titled jazz group, and playing with other world-renowned jazz musicians. And Ashley was saying she wanted to get the best of the best people that were in our age bracket — because you have to be young to do something like this. But she wanted to get the best people to do the project in all regards. zZ: So, are there things that evolve from performance to performance — things you’ve been able to streamline as you go, or things you’ve discovered about the songs, as you’ve been playing the same set? Have you been able to get more sophisticated as you go? Greg Spero: Yes. I’ve definitely been editing the sounds as I go. Our sound guy, Jamison — he records the set every night, so sometimes we can go back and listen to it. And sometimes I see YouTube videos of the set, and I listen to something that might be a little bit too loud or too soft, or a synthesizer that needs to have a slightly different modeling to it. And so I’ve been tweaking it throughout. We’ve had like, 100 or 150 shows that we’ve done together so far, so it’s been a lot of really honing it in to where it is now. zZ: People think of Halsey as a solo artist, but it sounds like you guys are a band, to the point where they couldn’t just have somebody else come in and do this. Greg Spero: It would be very difficult to have someone else come in and do it — but I also should make it clear: she’s definitely a solo artist. She writes all the songs; she oversees all the production. It’s really her vision. We’re supporting her vision in this. It’s not a band in the sense where a band writes songs together and everybody’s adding to it in an equal way — she’s really the forefront, and the head honcho of everything. But at the same time, there are people who are contributing major amounts to actually being able to execute it live, and make it sound good live. And I play a major role in that by doing all the software synthesizer design. And then the drummer plays a huge role…and the music director, Vinnie Ferra, plays a huge role designing all the transitions, and gives me a huge amount of direction in my sound design. Jamison Butcher, who is the front-of-house sound guy, plays a huge role in it — he makes it sound great every night, which is really, really hard to do in the arenas we’ve been playing — and even in the small clubs that we’re about to play, it’s hard to get it to sound as good as he makes it. He’s one of the very best. 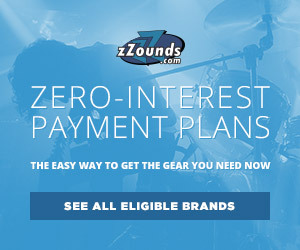 zZ: What are you adding to the performance, now that you’re on the Badlands Tour? Greg Spero: We’re adding more of a “show” element to the whole thing. Now that we’ve been able to expand, both budget-wise and personnel-wise, we’re able to make it a much more immersive show experience. So that includes transitions between songs, and making this arc of the set that uses not only the songs themselves, but the lighting that goes along with the songs. We have a very, very amazing lighting team. We’re all coming together to make it a very immersive show. The tour manager, David Shepard — he said the other day that this very well might be the very best show of the fall…even though it’s tiny venues comparing to what we probably could be doing at this point. Greg Spero: Yes, exactly. There are transitions where I just sort of went all out. I took some different sounds I was using, and tweaked them and ran them through different filters. I used Guitar Rig a good amount, which is a Native Instruments plug-in, to get some really crazy filters and effects on some piano sounds, and then doing some other crazy metallic things that I actually play on the different keyboards, ’cause I have so many keys to work with now. And so there are sections where I’m just going for it — and they can be different every night, which I’m really excited about. zZ: Are we going to see you bust out the keytar? Greg Spero: Ha! Probably not on this tour. Maybe, if enough people protest for it, Ashley just might consider incorporating it into a future tour. But for now, you’ll have to come to my jazz gigs to see me rock a keytar. zZ: I might have to start a hashtag. #WeWantSperoKeytar. Speaking of hashtags and such, I saw an Instagram photo of you wearing a yellow haz-mat suit. What’s that about? So I put on the haz-mat suit and went in and played, and it was really cool. All the kids walking through were singing along to the different songs — I was playing all the Halsey songs, but with different twists, and improvising a little bit. I was just playing for that hour while the kids were walking through, and then took a half-hour break, and went and played the actual CD release show, which was another hour of music. zZ: So that was like your warm-up. Greg Spero: It was my warm-up. I was out of the haz-mat suit after that! Greg’s Secret YouTube Pseudonym — Exposed! zZ: That’s really admirable, because you’re obviously not doing these videos to say “Look at me” — you just genuinely want to share your knowledge. Greg Spero: Yeah, I want to share the love and knowledge of this art form. The art of actually understanding the depth of harmony — and melody and rhythm, for that matter — in the context of jazz, is largely lost. People don’t really universally care about it as much as they used to. And it’s something that I feel people don’t care about as much because they don’t understand the feeling you can get by really being immersed in that world of incredibly deep, rich harmonies that you can really only get from the rich history of a music as complicated as jazz. So that’s why I started the “weeklypiano” series — because I was practicing every day, and working out these things, and discovering things on my own, and I was like, “Other people should be able to find out about this if they want to.” So I put them online, and people started really loving them, and asking me more questions, and so I started putting up more videos to answer the questions. It sort of snowballed from there. zZ: Do you have any favorite “weeklypiano” videos you want to share? Spero: “Learning Herbie Hancock Solo Technique” — I’m proud of that one. Herbie’s playing is much, much more deep than I could go into in a video like that, but I scratched the surface of some cool colors that he uses, and people really liked it. And also, my playing’s not too bad in it! One of the reasons I didn’t attach [the weeklypiano YouTube series] to my name from the beginning was so that I could just put up whatever I wanted, without being worried about if I thought it was really good playing, compared to where I was at the time. So if I was having a bad day, or really tired, I could still put up a video and not feel like the world was going to judge my playing based on that video. Social confirmation is a strong aspect of our humanity, and it’s built into us to want the approval of others — which can be used in a very positive and a very negative way. You know, some people destroy themselves because of it. You really can’t be too concerned about it. But at the same time, when you do something great, and then other people also recognize that it’s great, then it’s the most amazing feeling ever. 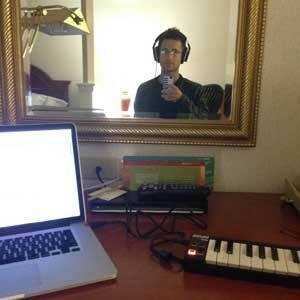 zZ: On your Instagram, I saw what I think was a hotel room picture of your laptop and a tiny Akai MIDI controller. It just made me laugh to see that you, the jazz pianist, were playing one of those mini keyboards. Are you composing with it? 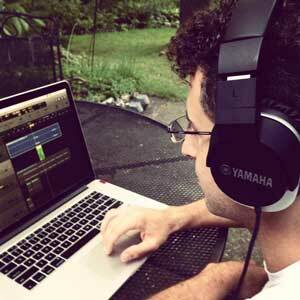 Greg Spero: Yeah — I’m composing with it for my next jazz record. What I spend the bulk of my time on now is this conceptual record I’m working on, that I’ll probably record when we get back from the next international tour and I actually have a couple weeks off. It’s a record that I’m going to call Polyrhythmic. zZ: I see the pattern: You have have solo albums titled Acoustic, Electric, and now Polyrhythmic. Greg Spero: Exactly — they’re all descriptors of stuff I’m interested in. “Polyrhythmic” is not a new concept…it’s a timeless concept to use overlaid time signatures, and I’ve been exploring it very extensively. I’ve written about 16 compositions now that all have different twists to them, in the way the time is laid out. I’m sitting by a piano, so I’ll play you this one concept: I keep time in 4/4 like this in the right hand, but then the left hand is playing in a 17/16 time signature, so every long beat in the left hand is seventeen 16th notes, and that’s the ostinato throughout the whole piece. And the melody goes with that, and then it goes through different sections that use that twist. It has all these skips that you feel in the song, and it uses that as a musical element to develop a composition. I’m really interested in music that “twists your mind”…that really makes you think and pay attention, and then takes you on a journey that’s different than what you’re used to. The polyrhythmic explorations are my way of diving into that world. zZ: So that’s going to be multiple layers of you playing, and overdubbing over yourself? Greg Spero: No. That’s the major challenge, actually, because I’m challenging myself to do it all live — to actually record the entire album as an acoustic trio, with upright bass, an acoustic piano, and a drum kit. I think it’ll be really hip — and it’ll also be really, really hard to play! Which is why, on the last tour, when we were opening for Imagine Dragons, after our set, I would go to the bus, take out my weighted practice keyboard, take it into some random room in the arena somewhere, and just practice these songs, developing the concept. I plan to continue doing that on the Badlands Tour as well, every night — just putting as much time into it as I can, because it’s a really, really interesting thing to me. zZ: I was a bit astonished to learn that you were self-taught until college. What I’m curious about is, how in the world did you find the self-discipline to actually practice the “boring stuff” — and how did you know it would pay off? Greg Spero: Oh, that’s easy: I didn’t! I did not have the discipline to practice the boring stuff, until college, when I thought there was a chance that I could do it for a living. Before that, I just practiced the fun stuff! And there were lots of holes in my playing at the time. It wasn’t until college that I sat down at the piano for 8, sometimes 12, hours a day, and just ironed out the weak points as much as I could. I mean, I’m still learning; I still have a long way to go — I think we all do, as musicians, because the more you develop and the more you learn, the more you realize there’s more to learn. But before all that, I got better because I was playing live. I was learning all these fusion tunes — I was playing with a band called Bucket Shop that I joined when I was 16 years old, and I had to learn all these pretty advanced jazz fusion songs from the ’70s, because I was playing with a bunch of guys who were in their 30s and 40s who really knew the material. One of the guys, Mark Cavanagh — I would call him a mentor to me, because he picked me up when I was 16 years old into this band, and really encouraged me to dive into more complicated music. And now, I play with him whenever I can, when I’m back in Chicago. He’s a guitarist, and we have a lot of fun together playing these shows. It was people like that, along with my parents, of course — because my dad and my mom are both professional musicians. My mom’s a classical pianist, and my dad plays country and rock and blues, and is just a great, great pianist. I mean, he’s my primary inspiration for everything I do. So I had that encouragement just to learn. 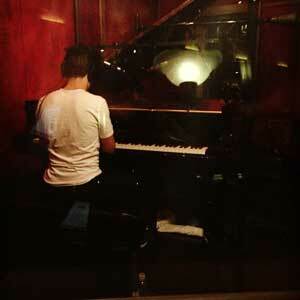 I would sit at the piano and I would hear my dad play something, and I would ask him how to do it. Then I would go repeat it, and repeat it, and repeat it until I could do it, and then we would sit there and jam and play together. So it was all fun for me. That’s why I love it so much now: because I was brought up with it as a fun medium — as something that music should be: expression, and communication, and sharing these fantastic moments with people. In this video: Greg’s jazz quartet with bassist Hadrien Feraud on bass, Gene Coy on drums, and Thelonius Monk competition winner Marquis Hill on trumpet, recorded at Cafe Cordial in Chicago. zZ: I’m still amazed by your self-discipline, because that part is not the fun part. Is it mentors that instilled that in you? Greg Spero: In college, it was made very clear to me by teachers and professors. I remember my TA, Sean Parsons, telling me specifically: “You have a choice now. If you want to get this stuff, you have to sit down and practice every day for a long time.” And so I did. I started with two hours, and then got up to four, and then got up to eight eventually. But when you sit down and you practice these things, you also get into this different mind-state where it becomes easier. You know, everybody in society right now is generally used to being distracted by things every five seconds. You want to check your phone; you have someone you have to talk to; you have to go to a meeting; whatever. 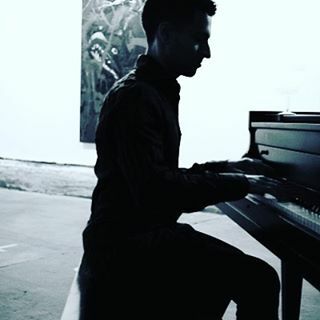 But when you sit down at a piano and you do exercises, and really listen to the sound that you’re creating and meditate on the nature of what you’re playing, it becomes something actually blissful after a certain amount of time. I remember, I sort of discovered that after five hours straight of sitting at the piano without getting up or going anywhere, I could play for as long as I needed to after that. There was no stopping point. Although at some point I had to go to bed. zZ: You get into the zone. Greg Spero: Yeah, you get into the zone. And it’s an amazing zone; it’s a blissful zone. Because you’re connected with the instrument, and you’re connected with something a little deeper within yourself that is creating this music. And at that point, when you’re in that space, I feel like you think more clearly, and you see the environment around you more clearly — not just musically, but just in general. You know, I’ve had epiphanies while I’ve been practicing about totally different things — like something in my mind just worked something else out. zZ: I think that you’ve hit on a difference between a professional and an amateur. Greg Spero: That’s true. Some musician told me once: if you don’t spend at least five hours every day playing your instrument, then you’re not a professional. It’s not your job unless you spend that much time on it. I feel like maybe he discovered that meditative thing also, like what I was doing. But at some point, if you love something so much, it’s just not that hard to spend that much time on it. zZ: You’re kind of chasing that natural high? Greg Spero: Sort of. I guess you could call it a natural high, but it’s very different in nature, though, because I feel like a “high” implies a lessened awareness, where the state that you get into becomes a more all-encompassing awareness. I think that’s one of the reasons that I connect with Buddhism so intensely: it talks about the same thing on a general life level, where I’m talking about it on a level connected with the instrument. In the context of the meditation that I do in Buddhism, it’s that same sort of thing, but you’re connecting with all these other aspects of our existence — like the relationships we have with other people; the relationships we have within ourselves; the ideas of what we feel like we know and what we don’t know. There’s that whole story about Shakyamuni, Buddha, sitting under the tree until he actually attained enlightenment — and enlightenment was a full awareness of everything in all of the cosmos. Which, you know, these are all metaphors…but there’s a general theme that is an expansion of our awareness of reality. And that’s what I feel when I dive deep into the heart of creating music. All the industry bullsh*t aside, all of the career goals aside — when you dive into the art, I feel like I’m attaining bits of that overarching expansion of understanding.